On November 25, 1925, the parents of Henry Elliott, Dee and Mary Elliott, moved from Alabama to Dade County, Georgia. Henry was the youngest of eleven children in this family. Mr. Elliott was a native of Alabama; however, he was reared and received his early education in the Dade County Schools. Following graduation from Davis High School, he was drafted into the service in World War II. He served for three years with the Eighth Air Force in England. Shortly after World War II, Mr. Elliott married Kate Felker who was a teacher at Davis High. They have a daughter, Lana Susan. In the meantime he attended the University of Chattanooga where he was the recipient of an A. B. degree in 1951. Following his graduation, he began his teaching career in the Dade County Schools. Along with his wife Kate, Mr. Elliott attended Peabody College of Vanderbilt in Nashville, TN. They both received M. A. degrees in 1958. Mr. Elliott served in many capacities in the Dade County School System. He was a classroom teacher, elementary principal, principal of Davis High, principal of Dade County High and finally Superintendent of Dade County Schools. He retired from education in 1983 after having served as principal of Chickamauga Elementary School. Mr. Elliott received many honors during his tenure in Dade County. For many years, he was a member of the state Beta Club Council. He served as a 4-H leader for a number of years. He was a member of the Dade County Board of Education in the early 1940s and again after his retirement. He also served as a member of the Board of Children’s Services for twelve years. He was honored with a citation from Governor Wallace of Alabama. The governor appointed him Honorary Lieutenant Colonel Aide-de-Camp in the Alabama State Militia. When the Dade County Water Authority was established, he was appointed to this authority. Mr. Elliott was a member of the Dade County Library Board in the 1970s. Being a member of the Cherokee Regional Library Board, he served as director of the board as well as director of the Dade County Board. He was an active member of the following organizations: the National Education Association, Georgia Association of Educators, and the Dade Education Association. He was elected to the professional fraternity Phi Delta Phi while at Peabody. While Mr. Elliott was pursuing his profession, he was faithful to his church, Woodlawn Baptist where he was a deacon for more than fifty years. He participated as a teacher in the church as well as being church clerk for many years. At the time the new church was built in the 1980s, he was the chairman of the Building Committee. The Lookout Valley Baptist Association was one of his pride and joys. He gave much of his time and means to help make it a great association. Being civic minded, Mr. Elliott was interested in anything that would make Dade County a better place in which to live. His civic alliances included the Rising Fawn Ruritan Club, Davis Ruritan Club, Dade County Lions Club and the PTAs of the different schools where he worked. He was appointed by the Ruritan National as a Lieutenant Governor covering Dade County and Jackson County, Alabama. After his retirement in 1983, he remained active in the community by participating in his church, the Lions Club, and the Retired Teachers of Georgia. He was president of the Lions Club, and served as president of the Dade County Retired Teachers’ Association for twelve years. Mrs. Elliott, a member of the Georgia Teacher Hall of Fame, quietly performed her role as a teacher for 42 years in the Dade County School System. Her love of English and French started in Sevier County High School in Sevier County, TN—the same high school that later became associated with Dolly Parton. Following her education in the Sevier County Schools, she attended East Tennessee State University where she was the recipient of a B. A. degree. She also received a M. A. degree from Peabody College of Vanderbilt in Nashville, TN. She taught English and French at Davis High, Dade High and Northwest Georgia High Schools. The career of teaching brought her to Dade County in 1941. She married Henry Elliott in 1945. Their daughter Lana Susan “followed in their footsteps,” working as Food Services director is several school systems. During her entire teaching career, Mrs. Elliott has been a consistent and active member of NEA, GAE, DBA, Delta Kappa Gamma, and the Georgia and National Council of Teachers of English. Civic, religious, and other activities include church clerk and treasurer of the Woodlawn Baptist Church and clerk and treasurer of the Lookout Valley Baptist Association. She was a teacher of Young People in Sunday school and Training Union for forty years. She taught in Vacation Bible School at Woodlawn for forty years. During this time she also directed church plays and pageants as well as directing participants in Sword Drills and Speaker’s Tournaments. Mrs. Elliott has been active in PTA work, and has served as a 4-H leader for a number of years. Being a senior sponsor at Davis High, Dade High, and Northwest Georgia High has been one of the joys of her life. She was a Beta Club Sponsor for 25 years. She was also a yearbook sponsor for several years. The yearbook was dedicated to her in 1969. The highlight of her career was the recognition of her efforts in 1982 by the placing of a plaque in her honor in the Georgia Teacher Hall of Fame in the state capitol in Atlanta. This honor comes to only one Georgian per year. 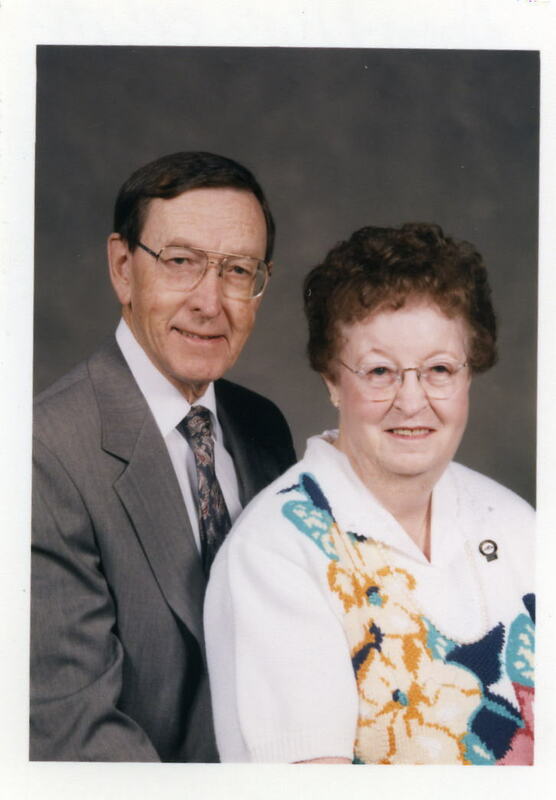 In 1996, the Elliotts celebrated their Golden Wedding Anniversary at Woodlawn Baptist Church. After retirement, they traveled extensively in the U.S., Canada and Europe. I knew both Mr. and Mrs. Elliott. I was taught by them at Davis High. They were educators at heart and loved to see people learn. The thing I remember most was a trip to Chattanooga Tennessee with them where I was honored for an essay I had written. We stopped by a restaurant and had a milk shake and they told me that they would help me go to any school I wanted to go to after graduation. I knew at that moment they cared about me. Mr. Elliott and I remained friends until his death but his memory will forever be with me.